For this review and giveaway, I'm so glad to be able to salute yet another terrific Canadian WAHM diaper shop! 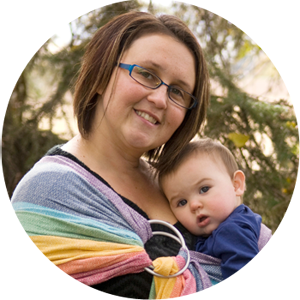 The Calgary Cloth Diaper Depot, of Calgary, Alberta, is a sweet little online shop specializing in cloth diapers and related accessories. They carry some familiar names like FuzziBunz, Monkey Doodlez, and Rockin' Green, but more exciting than that is the fact that they also have their very own lineup of diapers and wet bags under the Bambino Bums name. These items, similar in style to some of the "big name" brands, come without the very large price tag of these other brands and retail for approximately $12 a piece (as opposed to $20 or $30). 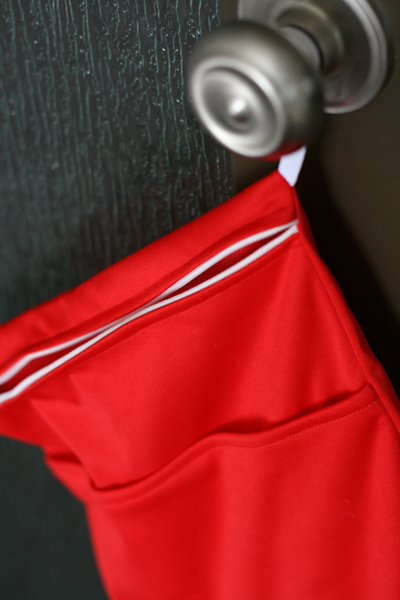 Up for review, owner Miranda sent me one of their Travel Duo Pocket Wet Bag in bright & cheery ruby red! Although I have tried several other wet bags before, I have never tried a duo pocket one (and have always wanted to!). When I first got this wet bag, I was very pleased to see just how thin it was! 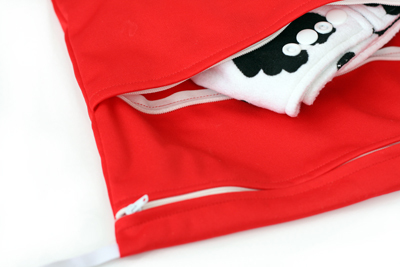 As a thin outer shell of red PUL, this wet bag compacts down to nearly nothing when empty, which is always handy as my diaper bag gets a little out of control at times! Being just a single layer of PUL also makes this wet bag so easy to care for. Simply turn the main (dirty) pocket inside out and launder it with your dirty diaper laundry, then hang it to dry. Easy peasy! I love the dual pocket function of this diaper bag. It could be used in a variety of ways (simply for added room, or for separating different children's items), but my favorite way to use it was as a wet/dry storage system. The smaller, front-most pocket was so handy for keeping a small travel wipes case. This could also totally eliminate the need for a wipes case if you're using cloth wipes, which is a real bonus! Just wet a few cloth wipes (either with water or your wipes solution) while at home, then chuck the clean but wet wipes into the front zippered pouch, and seal it up. When you're changing baby, remove the clean wipes, and put them back into the main (larger) pouch with the soiled diaper once they're dirty. Like I mentioned, these days I love anything that is able to reduce the girth of my psychotic diaper bag a bit! Really, in addition to just storing wipes, you can also use either pocket of this wet bag to store at least one clean, flat, diaper. Since Baby Aurelia has been on solid foods, I find that the 'diaper bag' has become a store-all for all kinds of other items--packets of portable rice cereal, baby spoons, bananas, sippy cups, and even teething toys. Personally, there's nothing more off-putting than hauling this bag of foodstuffs and oral items into a grungy bathroom with me and laying them on the change table with a wriggly little baby--to me, there is just such a huge chance that some of her midday snack is going to fall out onto the change table (where all the babies' bums have been! ), or onto the dirty floor. Even Starbucks, which I love, does not have a good set up for changing babies; although they give lots of room and a nice, flip-down change table, there is absolutely no counter space of any kind, and my diaper bag usually has to go on the floor while I'm getting the job done. With this new duo pocket wet bag, however, I can put all my changing related things in the pouches, tuck a flat change pad under my armpit, and get in and out with just baby and her diapering items. No more hauling baby biscuts into the john!! I should mention that this wet bag also has a handy little elasticized handle that stretches easily to help hang it from any doorknob, bedpost, stroller handle, or wrist. This is a handy little feature that most mommy-related items have nowadays, and this Bambino Bums item has followed suit. The only downfall to the overall design of this wet bag (and I'm sure all duo pocket wet bags and wet/dry bags have the same concern) is that, since the zippers are located on the side walls of the bag, they do allow the opportunity for more wicking to occur out of the bag if they are lying strangely and with pressure around them. Though the bag and PUL themselves are totally waterproof, the zipper area allows a little room for moisture transfer if a soggy item inside is left atop the zipper with weight and pressure pushing down. This never happened to me while actually using the bag, but I constructed a pretty stringent test with it, heavily wetting a clean prefold and leaving it upside down on the zipper overnight while the bag laid, zippers facing down, on top of a receiving blanket. A tiny bit of wicking occured (I wouldn't by any means call it leaking, though), drawing some dampness out onto the blanket. Under natural circumstances, this would take quite some effort to actually accomplish, but it could happen if you left a heavily wet diaper in the wet bag and left the whole thing lying in a car or diaper bag (accidentally) overnight. So, the design with this style of bag (by any brand) much prefers the hanging/upright position best! Overall, this is a handy, lightweight, low maintenance wet bag by a fantastic, mom-owned Canadian shop. I'm so happy to send them support and love, and am happy to announce that one of our very own readers will win a Travel Duo Pocket Wet Bag as well, in their choice of red, green, or blue! Head over to the Calgary Cloth Diaper Depot right now to buy the Travel Duo Pocket Wet Bag for only $12 CDN! 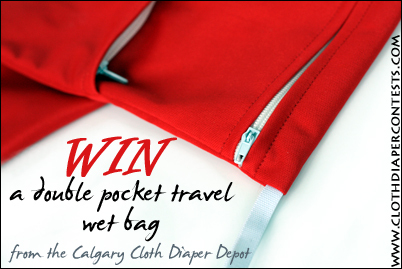 Calgary Cloth Diaper Depot is generously offering one lucky reader a Travel Duo Pocket Wet Bag of their very own, in their choice of red, green, or blue! 2 - Mention another product you'd like to try from the Calgary Cloth Diaper Depot online shop. Final details: I received no financial compensation for this review or giveaway, though I did receive the sample items free of charge. All opinions shared are my own, and I was not persuaded to share anything other than my own thoughts. Other users may have different experiences with this product than what I have shared. This giveaway will end on April 28, 2011 at 11:59pm MST and is open to residents of Canada and the United States only. Winner will be chosen randomly using random.org’s services. The winner will be contacted by email and will have 48 hours to reply before a new winner is chosen. The prize will be supplied and mailed out to the winner by the sponsor of this giveaway. I would like to try the Bambino OS pocket diaper. i'd also like to try a swim diaper for my son- the blue w/ a pufferfish is cute! I 'like' Calgary on FB and mentioned you guys! I 'like' your partner site Everything Cloth on FB. Mentioned both on my fb page! 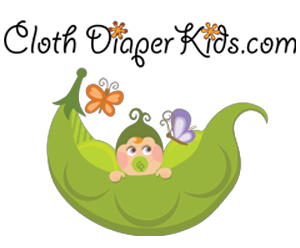 I follow Cloth Diaper Contests and Giveaways Blog with GFC. I would also love to try a Monkey Doodlez Swim Diaper. I LIKE Cloth Diaper Contests and Giveaways on Facebook. 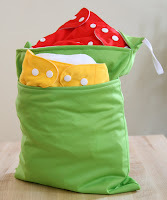 I LIKE Calgary Cloth Diaper Depot on Facebook and commented that you sent me. I LIKE your partner site Everything Cloth on Facebook. I follow partner site Everything Cloth with GFC. would like to try the pink zebra swim diaper. I'd like to try a Fuzzi Bunz in crushed berries. I'd like to try a bambino one size diaper! I'd love to try Applecheeks. I want to try the Blue Blow Fish swim diaper - so cute! Follow everything cloth via GFC. I would love to try the Bambino Bums pocket diaper! 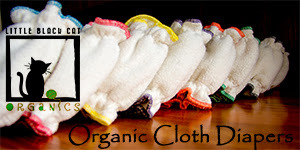 I like Calgary Cloth DIaper Depot on facebook as Hannah Rae and mentioned you! I follow CLoth Dipaer Depot on twitter as hgardner16. I follow you via networked blogs and Hannah.